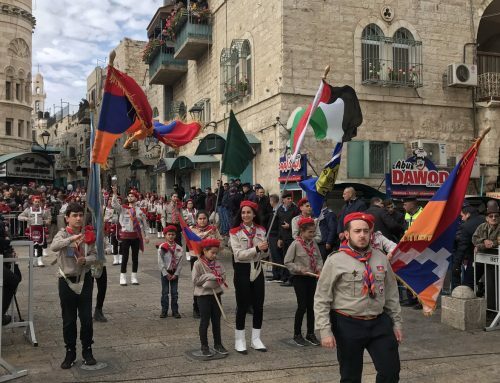 BEIRUT — Brimming with enthusiasm and a desire to be immersed in their spiritual heritage, 450 young people from all over the world gathered in Lebanon for the first Syriac Youth International Convention. 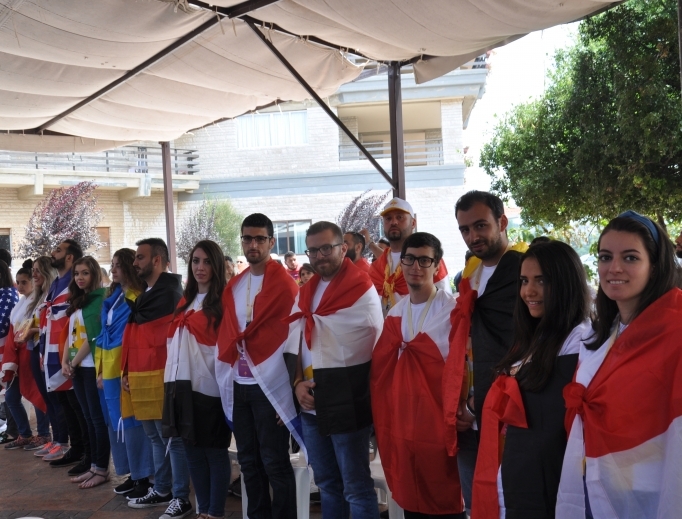 Meeting under the theme “Come and See,” the Syriac Catholic youth came from 14 countries, joining their Lebanese peers for the July 17-22 event. Their conviction to continue as followers of Christ, despite the challenges faced amid suffering in Syria and Iraq and an exodus of Syriac faithful from their ancestral homelands, characterized the spirit of the young people 18-35 years old. Some came from their native countries in the Middle East, with others from their adoptive countries in the West. Our Lady of Light convent in Faytroun, Lebanon, nestled 4,100 feet above sea level, served as the main venue for the event. Steeped in Syriac traditions, the six-day event combined prayer, educational workshops and presentations, as well as visits to monasteries and other holy sites, including Harissa, Our Lady of Lebanon; the tomb of St. Charbel; the Qadissha Valley of the Saints and the forest of the famous “Cedars of God” (Horsh Arz el-Rab). 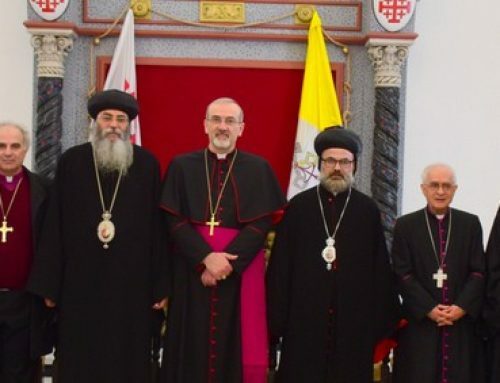 The youth also met with their shepherd, Syriac Catholic Patriarch Ignace Joseph III Younan. “Our main objective is to give the youth hope,” said Father Jules Boutros, who heads the pastoral youth committee for the Syriac Catholic Patriarchate, located in Beirut. Myriam Iskander, 26, came with 40 Syriac youth from Erbil, the capital of Iraqi Kurdistan in the northern part of Iraq, where persecuted Christians have sought refuge. In the summer of 2014, some 100,000 Iraqi Christians fled there when they were uprooted from Mosul and the Nineveh Plain by the Islamic State. Iskander’s family moved to Erbil from Mosul ahead of the mass exodus. In 2010, the young Iraqi woman’s life was spared in a bomb attack on buses carrying Christian students to Mosul University. The pre-med student forged ahead, studying on her own, going to the university only to take exams and later continuing her studies at Erbil Medical University. In 2006, her uncle, Syriac Orthodox priest Boulos Iskander was kidnapped from Mosul and beheaded. “We suffered a lot,” Iskander told the Register. “But God never leaves us,” she added. 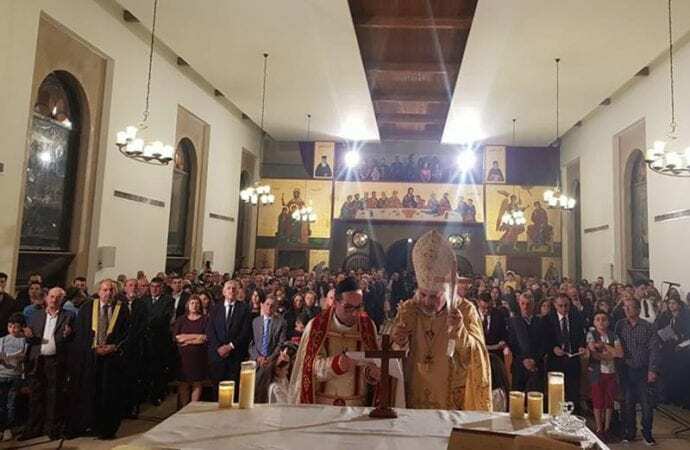 And July 15, 2018, her cousin, Fadi Iskander, was ordained a priest by the same bishop who ordained his martyred father. “That’s our faith, my cousin being ordained a priest. Our faith goes on, even under horrible conditions,” Myriam Iskander said. “Now I’m a doctor. I hope I can serve for many years,” she added. Currently a general practitioner, she said she might consider moving abroad to continue her studies, as it is difficult to pursue medical specialization in Erbil. Zaid Bashir, 35, came with 30 Syriacs from the Netherlands, where his family settled from Baghdad, Iraq. 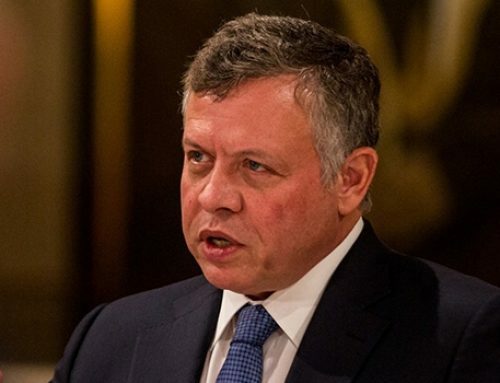 “So many Christians in Iraq have lost everything because of their faith,” Bashir told the Register. “It’s so important to really discover why we are Christian,” Bashir said. Otherwise, in such an atheistic-influenced environment, “without a good foundation, you will lose your faith,” Bashir said. “Here at the convention, I realize I’m not alone. There are others who are also facing challenges. We can share our problems, our emotions and get support from each other,” Bashir said. Jihan Askar was one of 75 Syriac youth who came from war-ravaged Syria to neighboring Lebanon for the convention. Her parish, Holy Spirit Cathedral in Homs, was severely damaged in the conflict, and like many of the faithful in Homs, she and her family fled to a nearby area known as the Valley of Christians, where they lived for more than two years. “When we returned, the first thing we did was to pray together with our priest in the rubble of our church.” Parishioners “started immediately” to clear the rubble. 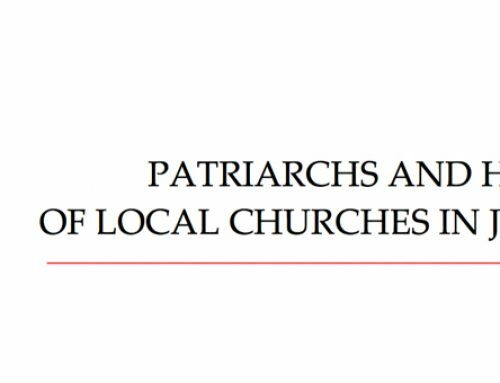 Through her participation in the convention, Askar said, “I feel I’m supported in my faith.” She was happy to learn that Syriac parishes in the West also gather their faithful regularly for spiritual, fellowship, service and social activities, as does her parish. From the convention, she said, “I have learned more about the Syriac faith, and now I feel I have a responsibility to work with youth and children in my parish to teach them.” The workshops she attended included teambuilding and the history of the Syriac Fathers, including St. Ephrem. Daniel Gabriel, a 24-year-old first-generation American from Florida whose parents emigrated from Iraq in the late 1970s, said he was especially inspired at the convention by the youth from Syria and Iraq. At St. Ephrem Monastery in Chbenieh, which dates back to the 1700s, the youth gathered on the final evening with Patriarch Younan, priests, nuns, monks, seminarians and several bishops for prayers, reflections and hymns. The youth all had the opportunity for the sacrament of reconciliation. Before the concluding Mass July 22, concelebrated by the patriarch and Syriac Catholic bishops from around the world who would begin their synod the next day, the youth had an open forum with the patriarch. He assured them that their plight and concerns would be conveyed to the October synod in Rome, which he will attend. “Happiness does not come from outside,” Patriarch Younan counseled the youth. “Even if foreign countries are in peace, it is our encounter with God which gives us the true peace. If we are really followers of Jesus Christ, we can be happy anywhere,” he said. When asked if another convention would be planned in the future, the patriarch’s response, “Of course, we wish to,” was met with great applause.